Gustave Flaubert was a famous Novelist from France, who lived between December 12, 1821 and May 8, 1880. He became 58 years old. 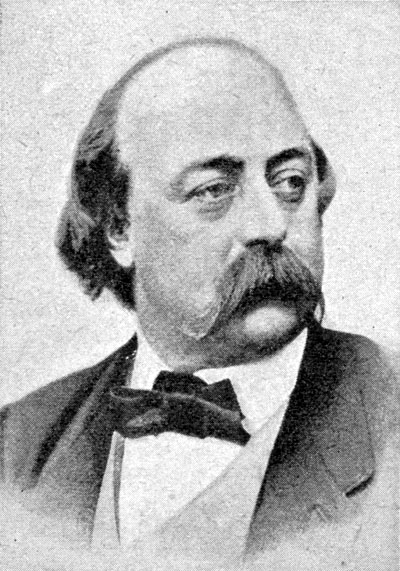 Flaubert made ​​his debut and had his literary breakthrough with the novel Madame Bovary in 1856-57. Authorship is played out "in the tension between romance and realism, and the conflict between romantic tendencies and the need for objectivity and self-discipline is clearly expressed"
He is born under the zodiac sagittarius, who is known for Philosophical, Motion, Experimentation, Optimism. Our collection contains 58 quotes who is written / told by Gustave, under the main topics: Death, Poetry, Work. "One mustn't ask apple trees for oranges, France for sun, women for love, life for happiness"
"The author, in his work, must be like God in the Universe, present everywhere and visible nowhere"
"The artist must be in his work as God is in creation, invisible and all-powerful; one must sense him everywhere but never see him"
"Oh, if I had been loved at the age of seventeen, what an idiot I would be today. Happiness is like smallpox: if you catch it too soon, it can completely ruin your constitution"
"The most glorious moments in your life are not the so-called days of success, but rather those days when out of dejection and despair you feel rise in you a challenge to life, and the promise of future accomplishments"
"One can be the master of what one does, but never of what one feels"
"The faster the word sticks to the thought, the more beautiful is the effect"
"Nothing is more humiliating than to see idiots succeed in enterprises we have failed in"
"I am a man-pen. I feel through the pen, because of the pen"
"Human speech is like a cracked kettle on which we tap crude rhythms for bears to dance to, while we long to make music that will melt the stars"
"Here is true immorality: ignorance and stupidity; the devil is nothing but this. His name is Legion"
"Happiness is a monstrosity! Punished are those who seek it"
"Exuberance is better than taste"
"Everything one invents is true, you may be perfectly sure of that. Poetry is as precise as geometry"
"Do not read, as children do, to amuse yourself, or like the ambitious, for the purpose of instruction. No, read in order to live"
"Caught up in life, you see it badly. You suffer from it or enjoy it too much. The artist, in my opinion, is a monstrosity, something outside of nature"
"But the disparaging of those we love always alienates us from them to some extent. We must not touch our idols; the gilt comes off in our hands"
"As a rule we disbelieve all the facts and theories for which we have no use"
"Artists who seek perfection in everything are those who cannot attain it in anything"
"Art requires neither complaisance nor politeness; nothing but faith, faith and freedom"
"Anything becomes interesting if you look at it long enough"
"All one's inventions are true, you can be sure of that. Poetry is as exact a science as geometry"
"A superhuman will is needed in order to write, and I am only a man"
"A memory is a beautiful thing, it's almost a desire that you miss"
"A friend who dies, it's something of you who dies"
"Writing is a dog's life, but the only life worth living"
"Woman is a vulgar animal from whom man has created an excessively beautiful ideal"
"What is the beautiful, if not the impossible"
"What an elder sees sitting; the young can't see standing"
"To be stupid, selfish, and have good health are three requirements for happiness, though if stupidity is lacking, all is lost"
"There is no truth. There is only perception"
"There are neither good nor bad subjects. From the point of view of pure Art, you could almost establish it as an axiom that the subject is irrelevant, style itself being an absolute manner of seeing things"
"The whole dream of democracy is to raise the proletarian to the level of stupidity attained by the bourgeois"
"The true poet for me is a priest. As soon as he dons the cassock, he must leave his family"
"The only way to avoid being unhappy is to close yourself up in Art and to count for nothing all the rest"
"The art of writing is the art of discovering what you believe"
"Success is a consequence and must not be a goal"
"Style is as much under the words as in the words. It is as much the soul as it is the flesh of a work"
"Stupidity is something unshakable; nothing attacks it without breaking itself against it; it is of the nature of granite, hard and resistant"
"Reality does not conform to the ideal, but confirms it"
"Read much, but not many books"
"Read in order to live"
"Poetry is as precise a thing as geometry"
"Our ignorance of history causes us to slander our own times"
"One never tires of what is well written, style is life! It is the very blood of thought!" "Love is a springtime plant that perfumes everything with its hope, even the ruins to which it clings"
"Life must be a constant education; one must learn everything, from speaking to dying"
"Language is a cracked kettle on which we beat out tunes for bears to dance to, while all the time we long to move the stars to pity"
"Judge the goodness of a book by the energy of the punches it has given you. I believe the greatest characteristic of genius, is, above all, force"
"It seems to me that I have always existed and that I possess memories that date back to the Pharaohs"
"I love my work with a frenetic and perverse love, as an ascetic loves the hair shirt which scratches his belly"
"I love good sense above all, perhaps because I have none"
"I have the handicap of being born with a special language to which I alone have the key"
"I have come to have the firm conviction that vanity is the basis of everything, and finally that what one calls conscience is only inner vanity"
"I hate that which we have decided to call realism, even though I have been made one of its high priests"